Chianti's come a long way from its Italian restaurant house wine days. Here's your guide to Tuscany's famous Sangiovese-based wine regions. Few Italian wines trigger nostalgia in American consumers like Chianti. Many tasted their first sip of tangy Sangiovese from a fiasco, a bottle wrapped in a straw basket, in a red-sauce Italian restaurant. Over the last few decades, Chianti has increased in quality, though most of its top wines fail to titillate palates as seductively as Barolo and Brunello. However, that’s a boon to savvy drinkers that can nab a delicious bottle of Chianti at an attainable price. Get to know this Tuscan region through its fascinating history, grapes and appellations. 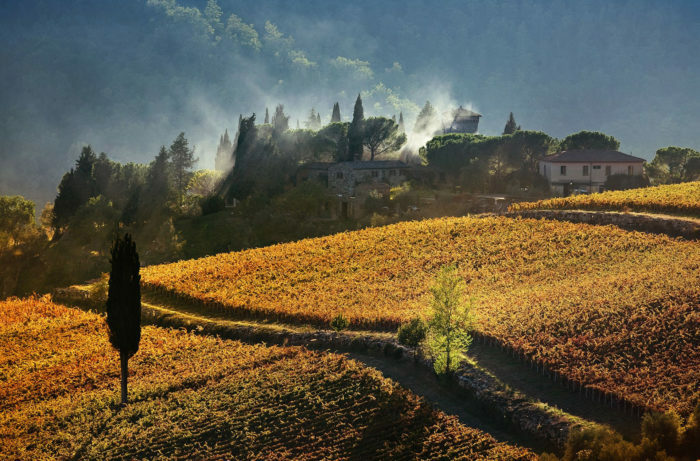 Tuscany, the romanticized swath of central Italy known for its rolling hills, cypress trees and stone castles, is also home to Chianti. Its history stems from the Etruscans, who were the first to identify the region as an attractive source for grapes. The Romans further developed the area’s agriculture, which also included olives. Today, the production zones of Chianti fall around Florence in the north, Siena in the south, Arezzo in the east and Pisa in the west. These cities’ histories are as rich, complicated and lurid as a Shakespearean drama. During the 13th century, acrimony between the Florentine Guelphs and Siennese Ghibellines gave way to the rise of the famous Florentine family, the Medicis, in the 14th century. Savvy merchants and bankers, the Medicis ruled during the Renaissance, when the arts, literature and wine flourished. In 1716, Grand Duke Cosimo III de’Medici demarcated the first Chianti wine zone, now known as Chianti Classico. Fast forward two centuries and production had grown throughout the region. The Italian government created the Chianti Denominazione di Origine Controllata (DOC) in 1967, which was included a central subzone of Chianti Classico. However, Chianti’s success proved its undoing. In the 1970s, high demand led to a rash of vineyard plantings. Rules that allowed or even required inferior grapes contributed to overproduction and underwhelming wines. Prices and the region’s reputation plummeted, something many producers still battle. In the late ’70s, a rogue band of quality-minded producers started to bottle wine outside the DOC’s approved grapes, which sparked the creation of super Tuscans. Eventually, Chianti’s rules were modernized to reflect contemporary winemaking and tastes and allowed a certain percentage of these international grapes, but with Sangiovese remaining dominant in the blend. The appellation would go on to earn Denominazione di Origine Controllata e Garantita (DOCG) status in 1984, Italy’s highest level of wine classification. And in 1996, Chianti Classico separated from Chianti DOCG and became its own DOCG. 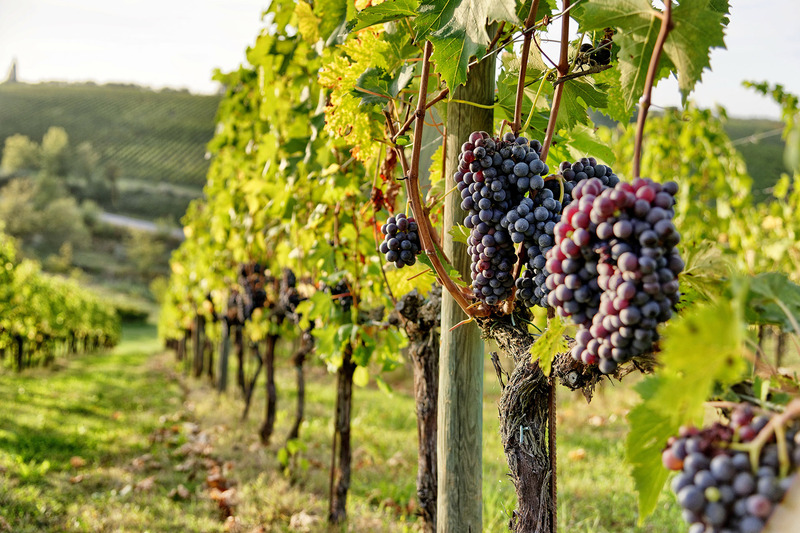 Combined, Chianti and Chianti Classico DOCGs continue to grow more wine grapes than any other Italian region save Prosecco, though better clones and a focus on lower yields have lifted quality. Sangiovese is Chianti’s heart and hero. Its calling card is mouthwatering acidity, a transparent ruby hue and flavors of black and red cherry. Further accents of violets, herbs, spice and earth are common in this dry red. Moderate tannins increase with quality, as does structure and body, which progresses from light to medium. Chianti rarely achieves the body and density of its Sangiovese-based cousin Brunello further south in Montalcino. Like all Italian wines, Chianti comes with rules. And like all Italian rules, they are frequently confusing. There are several categories of “Chianti.” There’s Chianti, which is the catchall appellation at the bottom of the quality pyramid; Chianti Classico, which has its own appellation; and Chianti Rufina and Chianti Colli Senesi, subzones of Chianti known for their high-quality bottlings. Since 1996, the rules of Chianti’s broadest appellation require a minimum of 70% Sangiovese and a maximum of 10% being the white grapes Malvasia and Trebbiano. 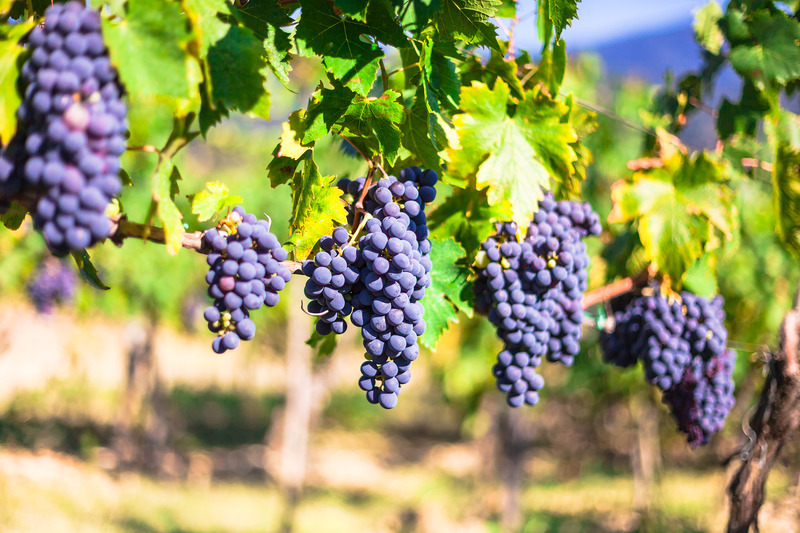 Native red grapes like Canaiolo Nero and Colorino, as well as the international varieties like Cabernet Sauvignon, Merlot and Syrah are also allowed. These add fruit, tannin or softness to the final blend. Grapes from across the region (but excluding the Chianti Classico zone) can be blended into the wine. Chianti is meant to be consumed while young, bright and fresh. Chianti DOCG has two higher-quality categories: Superiore, for wines made from lower yields than straight Chianti, and Riserva, for wines aged at least two years before release. Chianti DOCG is divided into seven subzones: Chianti Rufina, Chianti Colli Aretini, Chianti Colli Fiorentini, Chianti Colli Senesi, Chianti Colline Pisane, Chianti Montalbano and Chianti Montespertoli. Wines made in these areas may choose to use the name of their subzone or simply be labeled as Chianti. Of the seven subzones, Rufina and Colli Senesi are the most available in the U.S..
Chianti Rufina is considered one of the most quality-driven zones, behind Chianti Classico. Rufina is small by comparison, with production of around three million bottles each year. As a part of Chianti DOCG, Rufina must contain at least 70% Sangiovese, with the remainder blended with Canaiolo, Colorino or international red varieties. Rufina is furthest from the coast, and boasts higher-elevation vineyards thanks to its location in the foothills of the Apennine Mountains. Its cooler climate allows slower ripening of Sangiovese. With a substantial difference between day and night temperatures, Rufina retains its acidity and lovely perfume, though wines can be hard and angular without sufficient fruit to bolster them. Decades ago, during Chianti’s chilliest vintages, elevation could be a curse. But as global climates change, Rufina vineyards may prove to be well positioned. In style and substance, Chianti Rufina mirrors Classico with its vivid fruit and juicy acidity, along with a tannic structure that lends itself to five to 10 years of aging, especially from the best vintages and producers, or along the higher Riserva tier. After Rufina, Chianti Colli Senesi is the next noteworthy subzone. It takes its name from its location on the hills that envelop Siena in southern Tuscany. 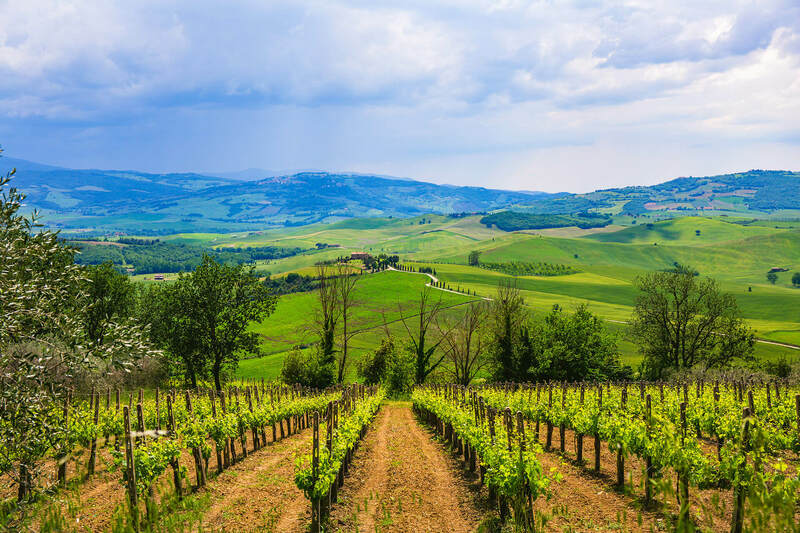 Its proximity to the Tuscan DOCGs of Brunello di Montalcino and Vino Nobile di Montepulciano leads to occasional overlap, which adds excitement about Colli Senesi’s prospects of quality. However, the Colli Senesi designation remains used for Sangiovese-based wines derived from less remarkable sites. Variation in elevation and soil gives nuance to these Senesi wines, though overall, they tend to be fruit-forward and approachable with a touch of rusticity. New oak and barrique are typically not employed, in favor of purity, spice and fruit in the wines. This appellation is located in the heart of the broader Chianti region. The boundaries were first defined in the 18th century, but enlarged significantly in the 1930s. This move was thought by many to have damaged the brand’s reputation, though such expansion is common across Italian wine regions. Today, Chianti Classico DOCG is considered by many to be the highest-quality offering for Chianti. 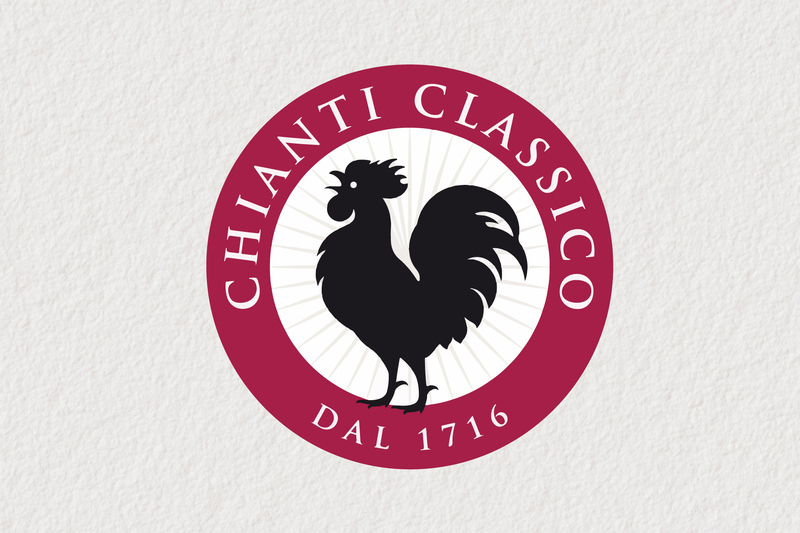 The emblem of Chianti Classico is the black rooster, or gallo nero. It relates to a legend told about the use of roosters to settle a border dispute between the warring provinces of Sienna and Florence. The black cockerel was the symbol of Florence, while the white cockerel represented Sienna. It’s clear who dominated that contest. Marked by refreshing acidity, Chianti Classico DOCG grapes come typically from vineyards planted at higher elevations than Chianti DOCG. Flavors include violet and spice layered atop juicy cherry. Tannins and structure increase with quality, but reflect fruit and terroir rather than oak. New oak, which can slather wine in baking spice and vanilla, has mostly been abandoned. Traditional large oak casks are now preferred, which lend greater transparency to wines. Chianti Classico must contain at least 80% Sangiovese. A maximum of 20% of other red grapes Colorino, Canaiolo Nero, Cabernet Sauvignon and Merlot may be used. White grapes were banned in 2006. There are three quality tiers in the appellation. Annata, or the standard wine, ages for 12 months before release, while Riserva must age 24 months. Gran Selezione has the longest aging requirement at 30 months. In February 2014, the first top-tier Gran Selezione wines debuted from the 2010 vintage. The category also requires estate-grown grapes and approval from a tasting panel. Chianti Classico is divided into nine communes. In Siena province: Radda in Chianti, Gaiole in Chianti, Castellina in Chianti, Castelnuovo Berardenga, Poggibonsi. In Florence province: Greve in Chianti, Barberino Val d’Elsa, San Casciano Val di Pesa, Tavernelle Val di Pesa. Though labeling by commune is not yet allowed, wines still reflect distinctions in soil and microclimate, thus further divisions may appear in the future. Volpaia 2015 Chianti Classico; 92 points, $21. Smooth and delicious, this opens with inviting scents of raspberry jam, cake spice, violet and a whiff of forest floor. The savory, juicy palate doles out ripe Marasca cherry, truffle and star anise framed in polished tannins. Drink through 2022. Wilson Daniels Ltd. —K.O. Castello dei Rampolla 2015 Chianti Classico; 92 points, $38. Aromas of truffle, leather, menthol and mature plum take the lead on this concentrated red. The aromas follow through to the full-bodied, chewy palate along with fleshy black cherry, licorice and dried herb. Close-grained tannins provide the assertive framework. Drink 2019–2025. Vias Imports. —K.O. Bindi Sergardi 2016 Al Canapo (Chianti Colli Senesi); 89 points, $15. Aromas of red-skinned berry, underbrush and a hint of mint merge together in the glass. The juicy palate doles out red cherry, raspberry jam and a note of eucalyptus, while pliant tannins provide easygoing support. Enjoy soon. Vinovia Wine Group. —K.O. Dianella 2015 Riserva (Chianti); 89 points, $28. Made from 95% Sangiovese and 5% Colorino, this opens with dark berry, baking spice and leather aromas. The firm palate offers dried black cherry, clove and raw almond touches alongside polished tannins. Drink through 2021. Santa Maria Imports. —K.O.